The BMW E90 cooling fan is an electric version of the older belt driven model. It is more efficient and reliable than belt driven models of previous years, but are still prone to failure on high mileage cars. 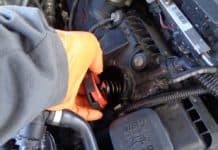 Failure of your vehicles cooling fan can cause engine overheating and possible severe engine damage. 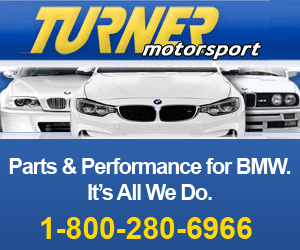 ***The following article deals with the removal of a BMW E90 cooling fan from a 335i twin turbo with the N55 engine. 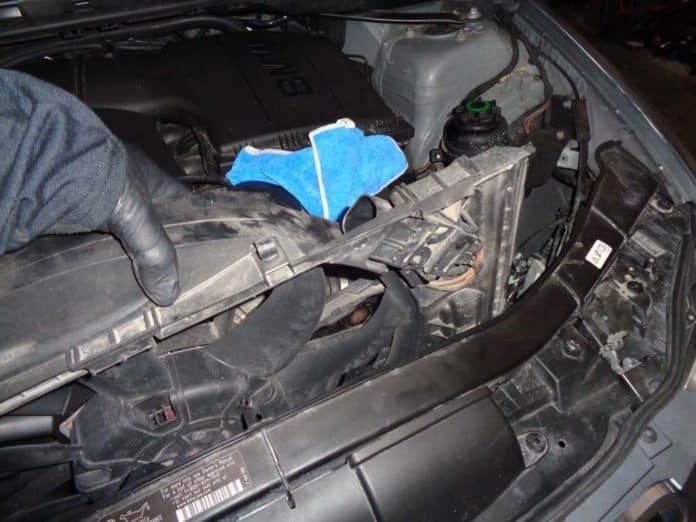 The procedure for removing from other E90/91/92 models is basically the same…the images may differ slightly from your car’s engine compartment. 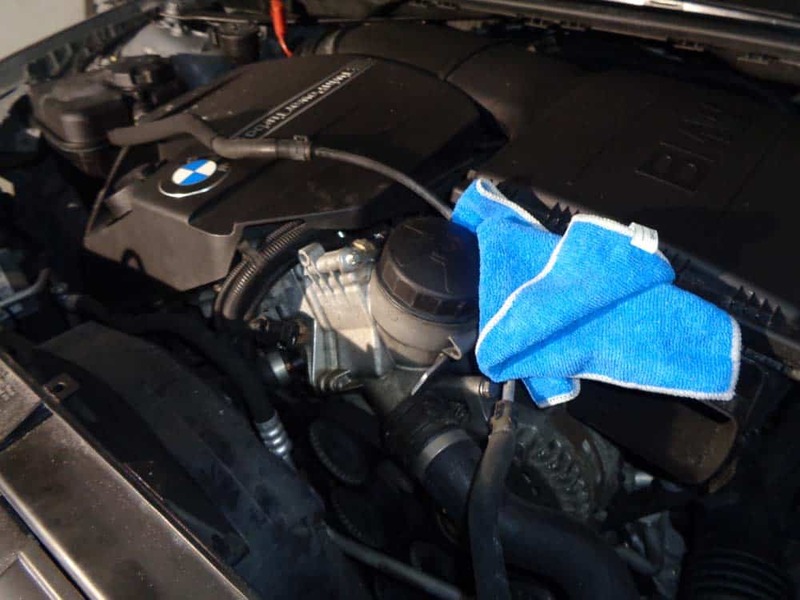 One of the most common failure points on aging BMW’s is the cooling system. It is especially noticeable on higher mileage cars, or vehicles that have sustained a front end impact somewhere along their lifespan. 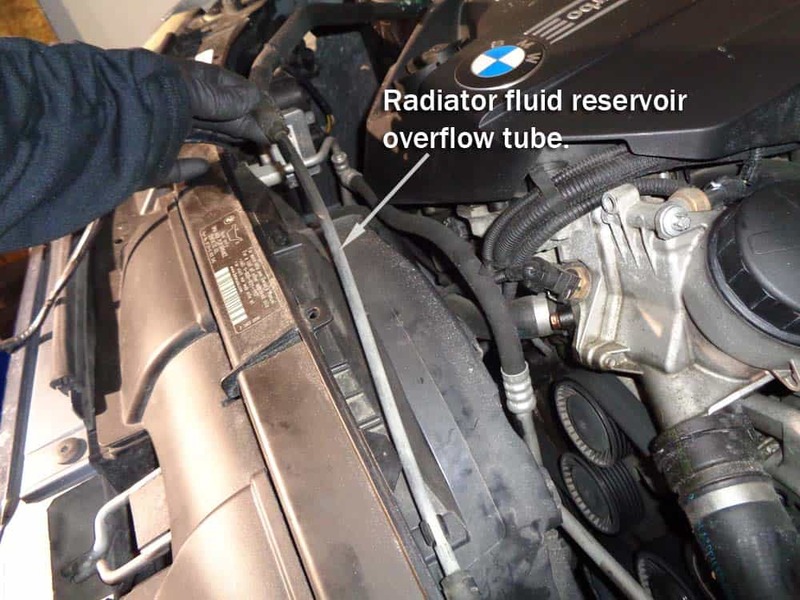 As BMW quickly makes its transition from belt driven accessories to “non belt driven” electric versions (a’ la water pump, power steering pump and engine cooling fan), changing out defective parts has become quicker and easier to accomplish. 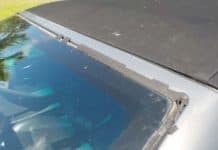 Replacing a defective engine cooling fan is a relatively simple operation that will save you hundreds of dollars from taking it to the dealership. Most dealerships will charge upwards of $600 dollars for the part alone, not including labor. 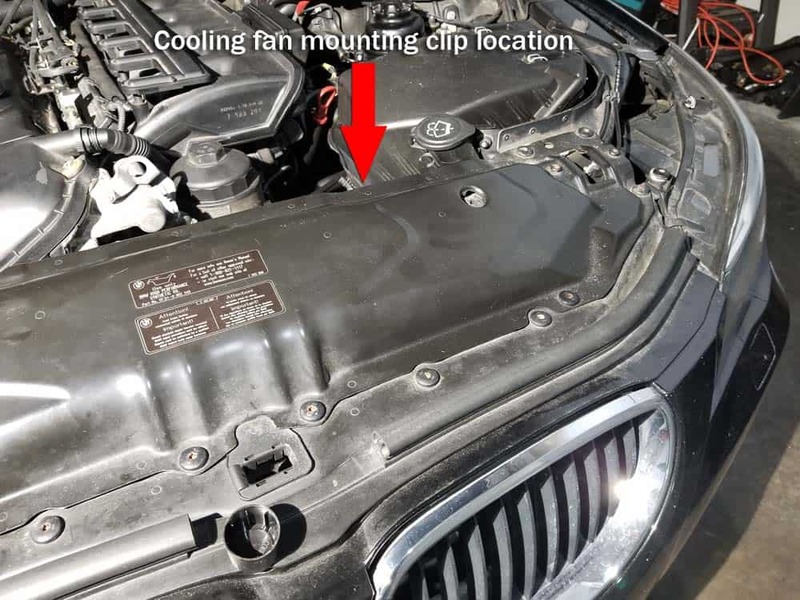 A replacement BMW E90 cooling fan can easily be found online for under $300 and can be installed by yourself in well under an hour. That’s a huge saving. 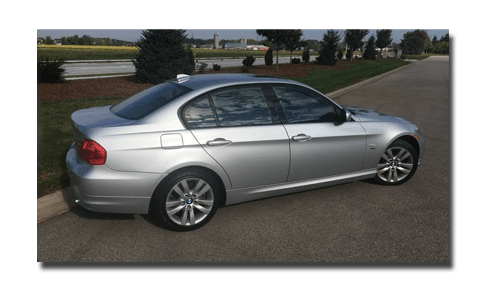 If you are replacing a BMW E90 cooling fan that has become inoperative, always start by checking the fuse box first to make sure the fan’s fuse has not blown. The engine cooling fan fuse location on a BMW E90/91/92 is in glove compartment fuse box – fuse F69 (F92 on post 2007 vehicles) – 50amp. 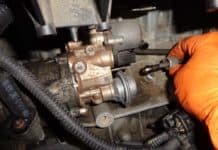 If your vehicle has an automatic transmission, you will need to jack and support your vehicle using the “four corner method” since you will need to get under the front of the vehicle. 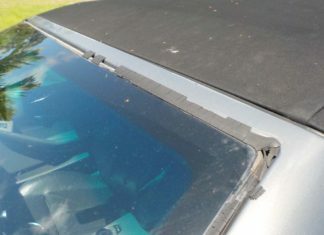 This is unfortunately necessary since the vehicles ATF (automatic transmission fluid) cooler is attached to the bottom of the engine cooling fan. 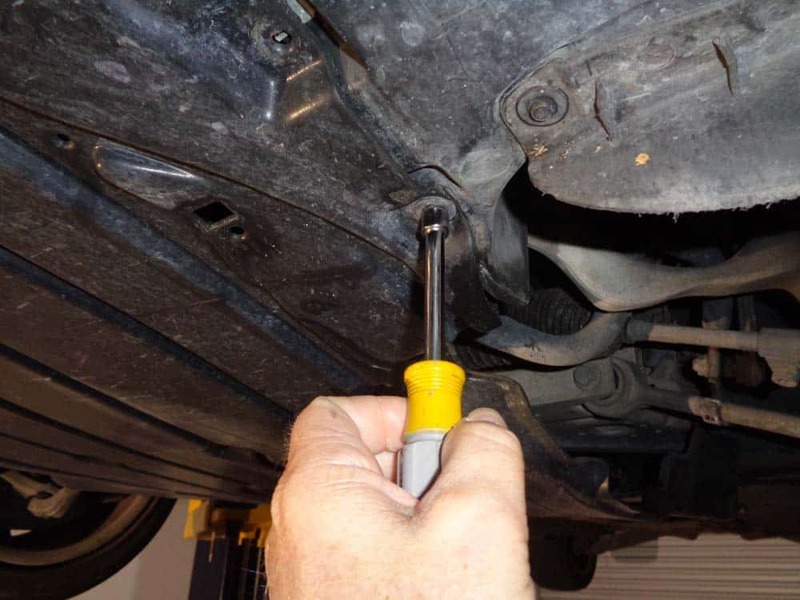 Please click here to learn how to properly jack and support your vehicle for this repair. 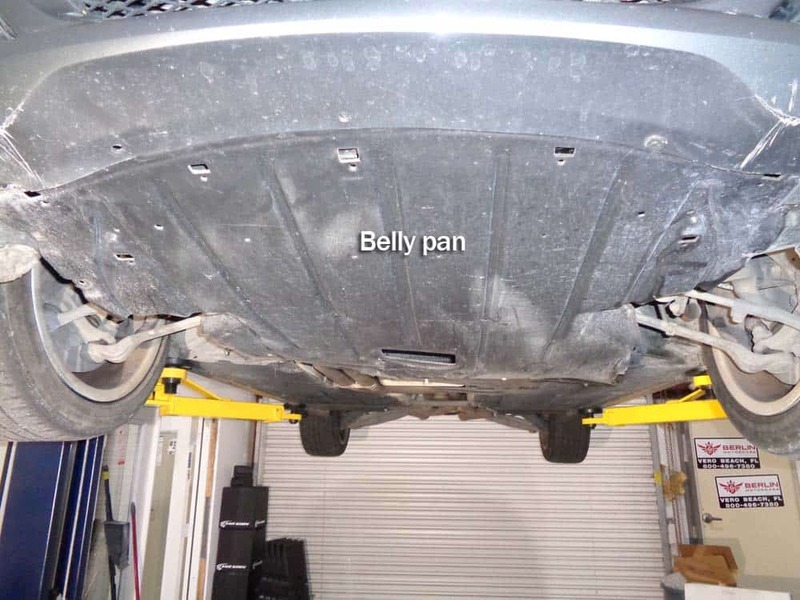 With the belly pan removed, locate the ATF cooler attached to the bottom of the engine cooling fan. It is held in place with one T25 torx screw. Remove the screw using and push ATF cooler out of the way (gently of course). 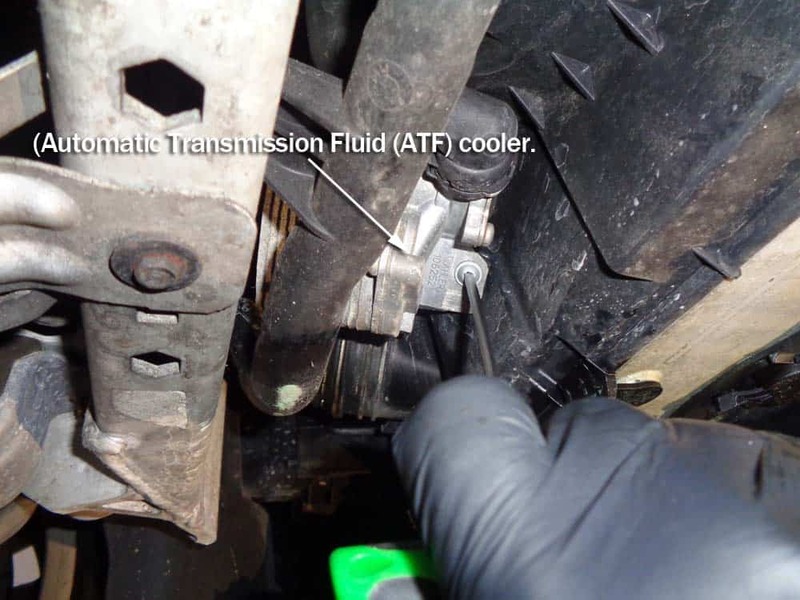 Now that the ATF cooler is disconnected, we can move to the engine compartment to finish the repair. First, the air intake duct must be removed. 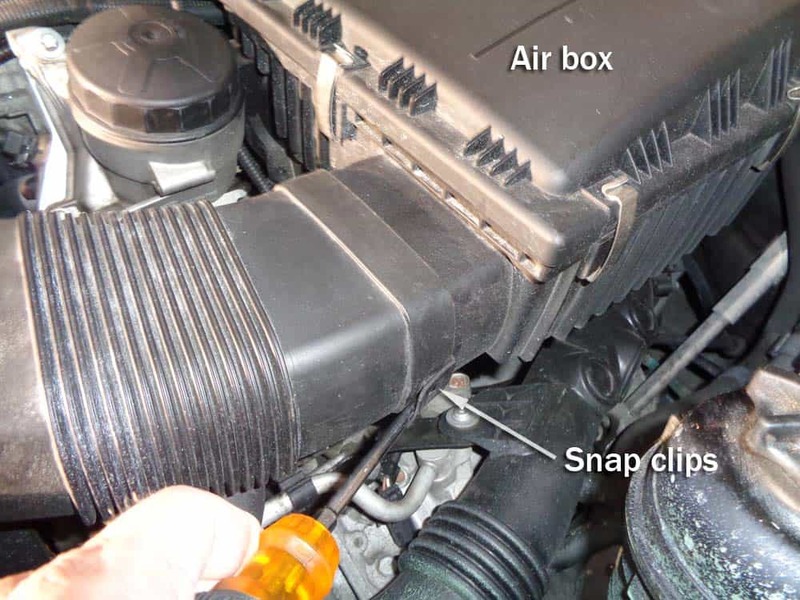 Start at the air box by prying loose the two plastic snap clips with a flat blade screwdriver. Next remove the two screws that anchor the air duct to the front grill. There is a screw on either side of the duct. 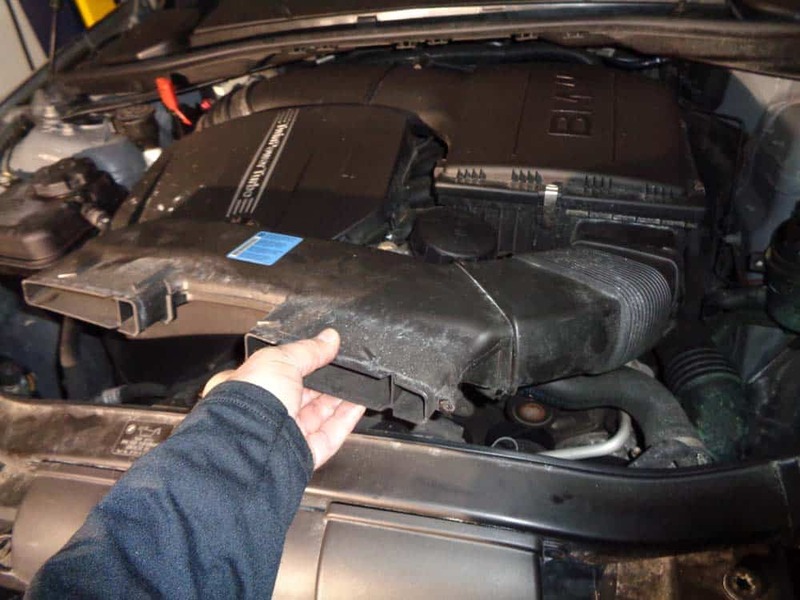 Grab the air intake duct and pull loose from the air box. 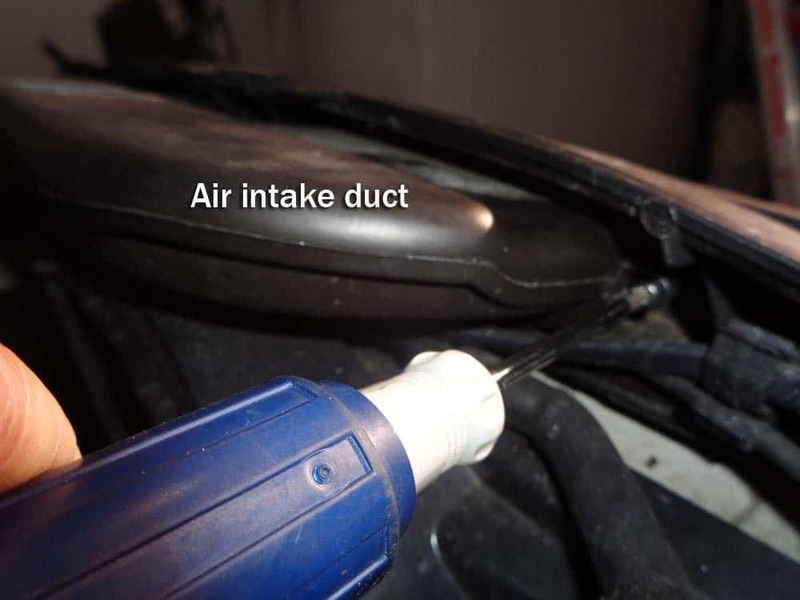 Unhook the radiator fluid reservoir overflow line from fan shroud and carefully move out of the way. 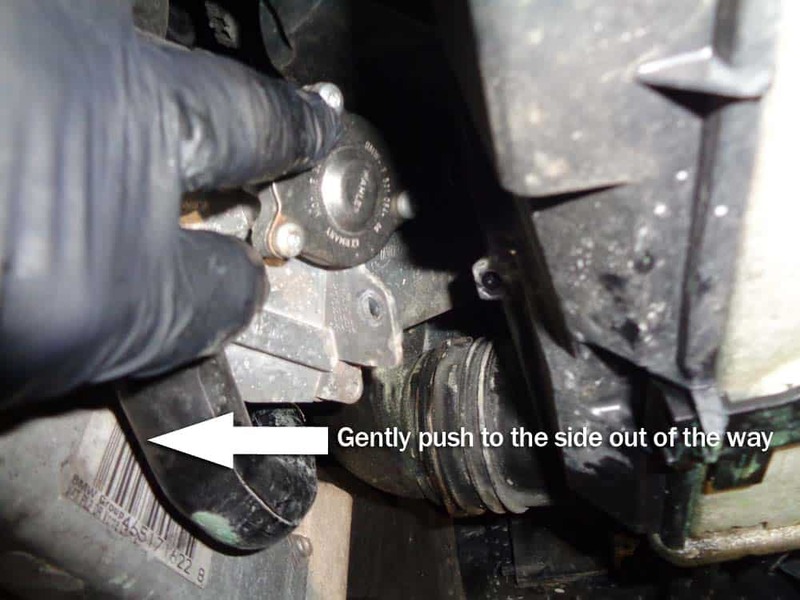 WE STRESS carefully…the line is connected to the upper radiator hose via a plastic fitting that is prone to breaking. We suggest tucking the line behind the oil filter with a rag as shown below. The final step is to unclip the cooling fan from the fan shroud. 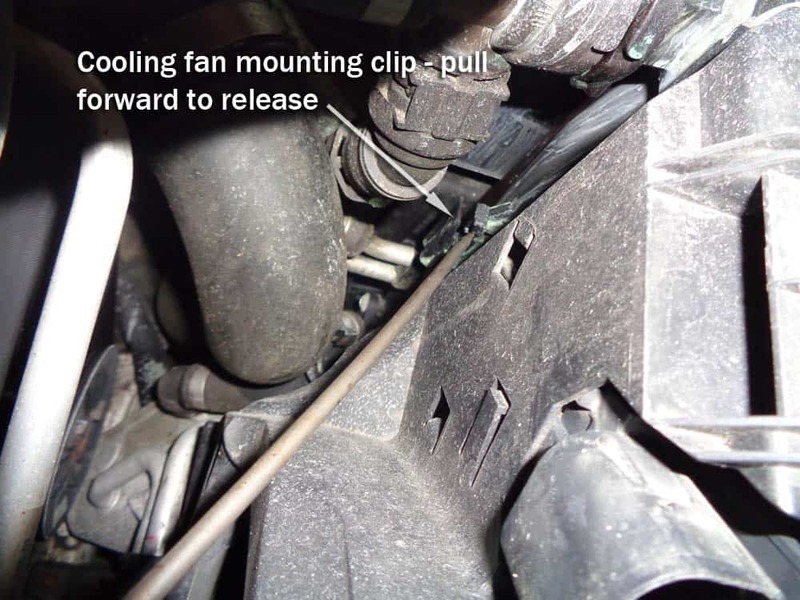 The mounting clip is located on the left (driver’s) side of the cooling fan, down near the radiator hoses. Pull the clip forward (towards fire wall) to release. While pulling clip forward, use your other hand to pull the cooling fan out of the fan shroud. Install the new engine cooling fan using the steps above in reverse. Be patient…the fan will not just slide in “nice and easy”…there are radiator hoses and other parts that are going to be in the way. 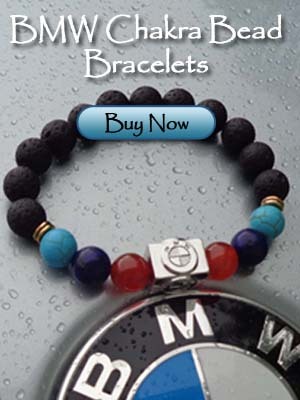 Work slowly and methodically…NEVER force the fan down out of frustration. One usual hangup is the new fan will get caught on the bottom of the radiator. The fan should slide down cleanly past the radiator and lock neatly into place. If you have any problems installing, feel free to send us an email and we will do the best we can to help you out!